Microsoft Corp. announced yesterday that Windows and Windows Live President Steven Sinofsky left the company. To replace him, Julie Larson-Green will be promoted to lead all Windows software and hardware engineering and Tami Reller, besides retaining her current roles as financial and marketing chief officer, will assume responsibility for the business area of the operating system. 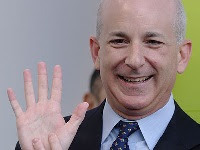 Although according to an article on CNET the company stated that the decision was mutual, Steven Sinofsky sent an internal e-mail to employees, also available on CNET, in which he stated that his departure was a personal and private choice. The decision is taking place few days after the release of Windows 8, a fact that Sinofsky addressed in his e-mail with these words: "Some might notice a bit of chatter speculating about this decision or timing. I can assure you that none could be true as this was a personal and private choice that in no way reflects any speculation or theories one might read--about me, opportunity, the company or its leadership." According to the company the changes are effective immediately and both executives replacing Sinofsky will report directly to Steve Ballmer.